Marks/Label: Embossed lettering on indented front is "Rawleigh's TRADE MARK REG.". 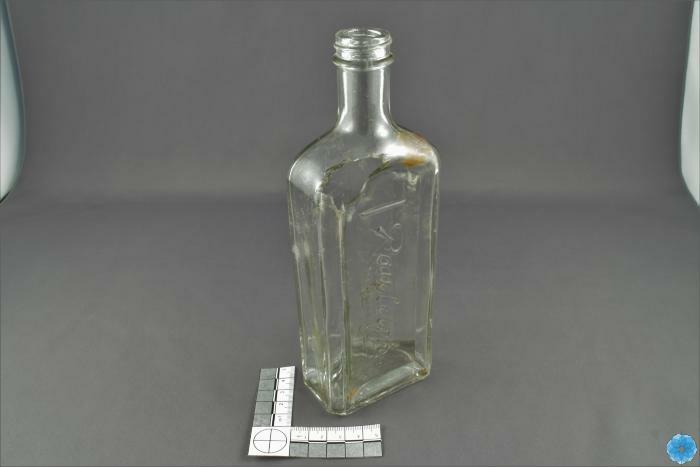 Description: Clear, large, glass bottle with small piece missing in front upper left corner. Front indented with company name embossed. Brown staining and large lumps of dirt in interior.